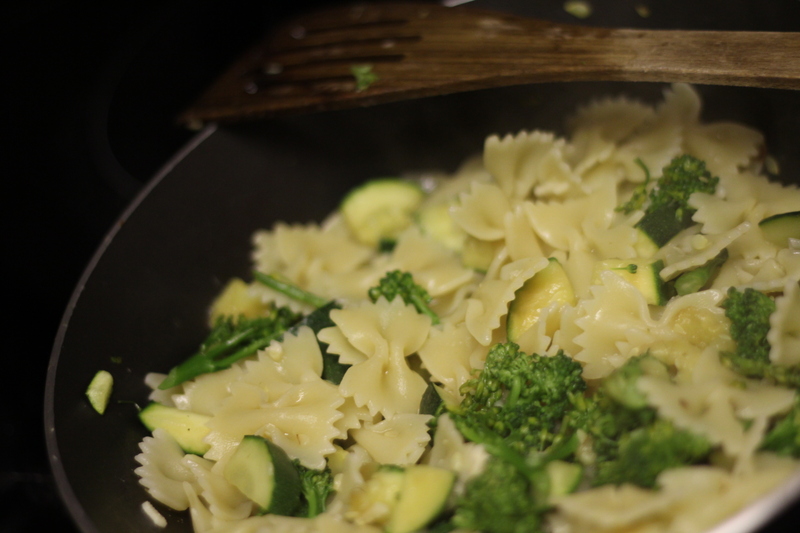 Courgette, broccoli and gremolata pasta | What's for dinner? A fabulous little recipe from July’s Good Food magazine, this is simple and superhealthy as well as being a lovely and light summer dish. (If you were wondering [I did] gremolata is is a chopped herb condiment typically made of lemon zest, garlic, and parsley – this recipe adds lemon juice so that it coats the pasta). 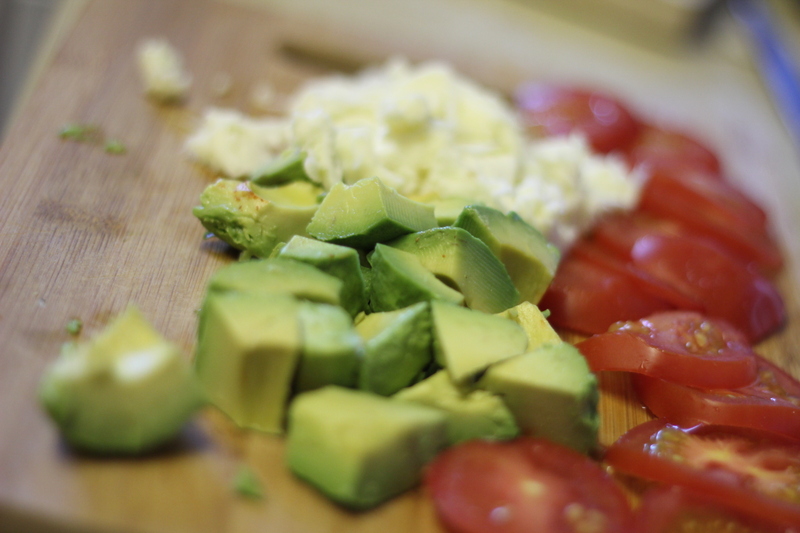 I picked up tomatoes and an avocado for a princely sum of 50 pence from the reduced shelf as they were at their best-before dates, so threw some mozzarella into my basket so we could have an insalate caprese starter. Dished up with balsamic vinegar and a healthy grinding of black pepper, this is a long-term favourite in our house. H feels that he’d have preferred more broccoli and less courgette, but we both thought the gremolata worked well. Either way, this would be simple to alter to include the vegetables to hand and is an easy meal to pull together which is full of goodness.